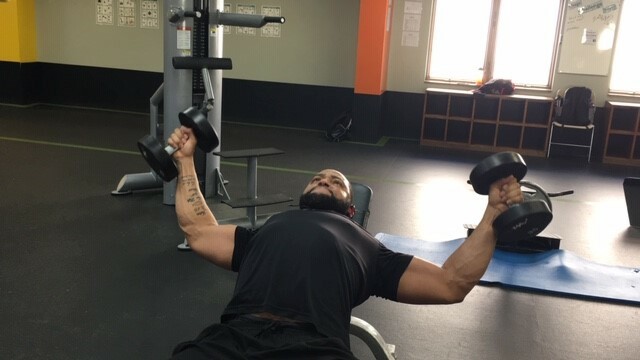 Even though the flat bench press is very effective in building strength and power in the chest, you still have to implement exercises that will give you a SPECIFIC PECTORAL PUMP, i.e. Flyes. Whether you are male or female, try out this workout on Mondays and Thursdays and start seeing drastic improvements in the overall shaping and lifting of your chest. *These exercises are to be performed one right after the other. Rest 90-120sec after each Giant Set. * Make sure you take 2-3 days in between before repeating this same workout. Directions: Sit down on an incline bench with a dumbbell on each hand resting on top of your thighs. The palms of your hand will be facing each other. 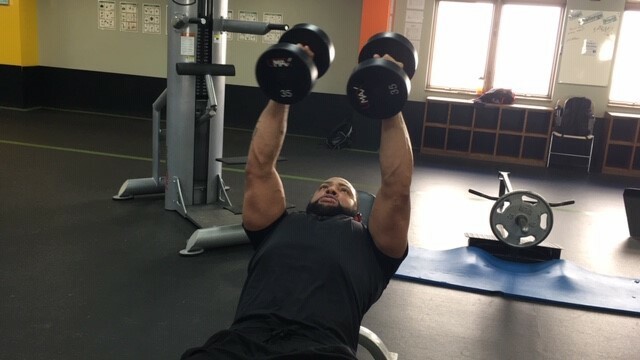 Then using your thighs to help raise the dumbbells, lift the dumbbells one at a time so you can hold them in front of you at shoulder width with the palms of your hands facing each other. 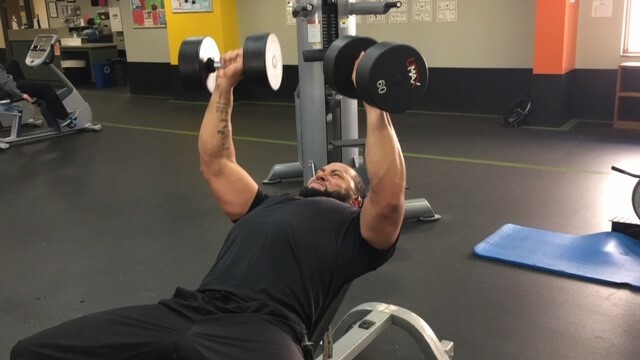 While laying down, raise the dumbbells up like you’re pressing them, but stop and hold just before you lock out. This will be your starting position. 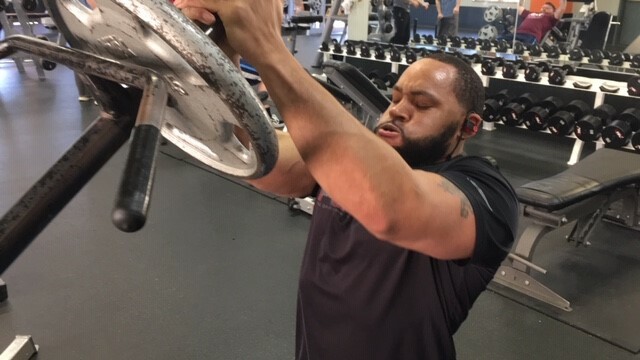 Keep your arms slightly bent throughout the entire movement, lower your arms by keeping an arc in your arms until you feel a stretch on your chest. Breathe in as you perform this portion of the movement. Return your arms back to the starting position as you squeeze your chest muscles and breathe out. Hold for a second at the top position, squeeze and repeat. Directions: Sit down on a flat bench with a dumbbell on each hand resting on top of your thighs. The palms of your hand will be facing each other. 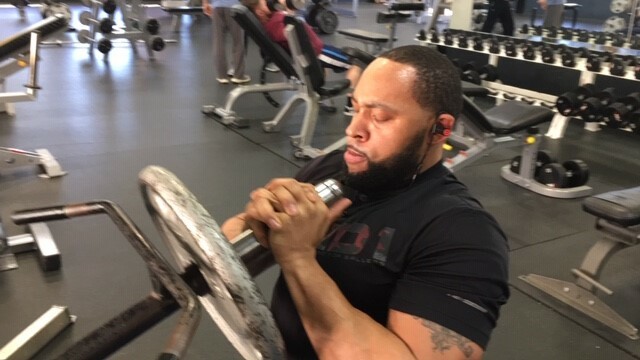 Then using your thighs to help raise the dumbbells, lift the dumbbells one at a time so you can hold them in front of you at shoulder width with the palms of your hands facing each other or facing your legs; this is your starting position. While laying down, press the dumbbells up and slightly lock out. Repeat the up/down pressing movement. Directions: Kneel in front of a T-bar. Pick bar up to the top of chest with an overlapping hand grip; this will be your starting position. Tighten core and set good posture. Press bar by taking arms to full extension. In controlled manner, lower bar back to starting position. Repeat this process throughout the movement.